If you love LEDs in your computers, you'll want to see this. Gaming PCs can be more about appearance than pure performance, and Origin PC’s new Sentinel feature plays right up to that. Using the company’s new Sentinel app from an iOS or Android device lets you remotely change your case’s lights. Want to turn your PC a nice blue without taking your feet off the couch? Just dial up the color you want your case interior to be. The new case lighting routine even lets you select among multiple blinking, strobing, and throbbing color patterns. 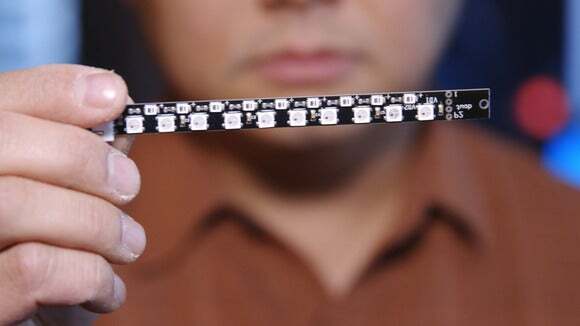 Origin PC even redesigned its typical case lighting strip to feature ultraviolet LED emitters that will make fluorescent water in the custom liquid cooling glow. Some of its is practical too. Origin PC’s Sentinel lets you monitor your system temps and control its fans via phone. It’s not all just about the bling, though. 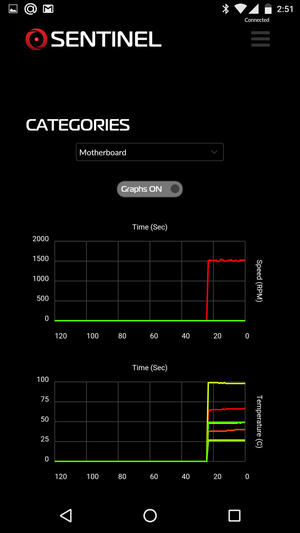 Sentinel lets you also remotely monitor your system and CPU load and will even let you set your PC’s case fan speeds via tablet or phone too. Rather than connect directly, Sentinel works using IP traffic on computers that are on the same network.